The US Missile Defence system is a provocative military system, under the guise of defence. 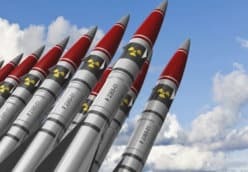 It will make the world even more unstable and insecure and its development encourages a global arms race and increases tensions with Russia risking a new Cold War. The US missile defence system is made up of a series of bases around the world, with support from satellite and sea-based facilities, designed to detect and shoot down incoming missiles. The system is purportedly designed to protect the United States and its allies from missile attack. 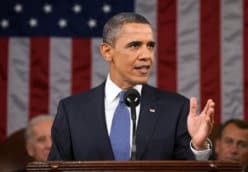 But it is really a system that allows the US to be offensive and make first-strike attacks without fear of retaliation. 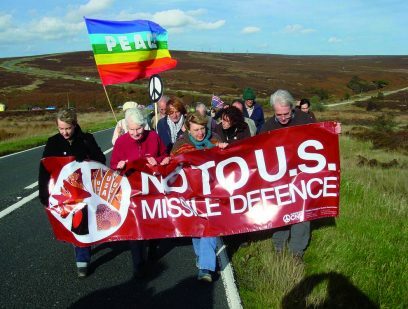 CND has campaigned against the US missile defence programme since Reagan’s first plans in the 1980s. 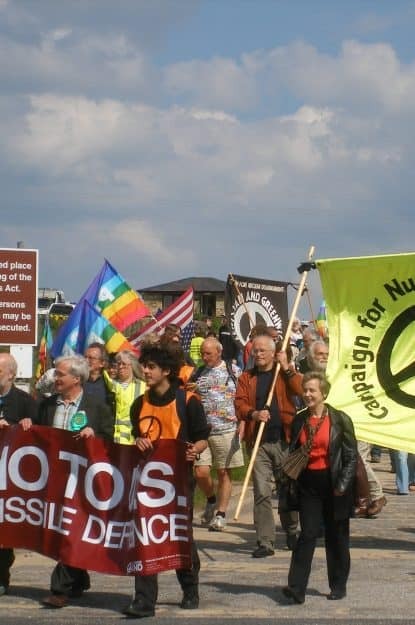 We recognise that this military system is already threatening existing arms limitation treaties and leading to a new nuclear arms race which significantly increases the chances of nuclear weapons being used. Britain plays an integral role in the US missile defence system and this puts us on the front line in any future US wars. Menwith Hill, in Yorkshire, is the largest military spy base in the world. 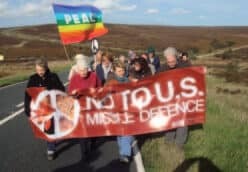 RAF Fylingdales in North Yorkshire operates as a Ballistic Missile Early Warning Station for the US and British governments, tracking and targeting missiles aimed primarily at the US. 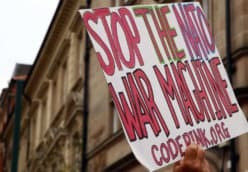 These sites, and others, commit Britain to a continued supporting role for the US military agenda – with no parliamentary debate or public consultation.